The newest edition of the Jordan Super.Fly 2 has quietly arrived in the sneaker market, but it is expected to make a lot of noise in the coming weeks. 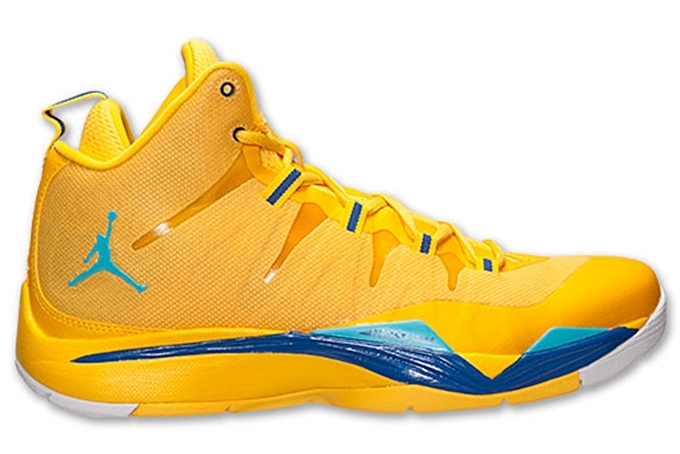 Now available in the several retailers is the “Laney” edition of this hybrid-shoe model that is listed as the Varsity Maize/Gamma Blue-Game Royal-White colorway. The color combination features was the reason why it is dubbed as the Laney edition, which was also applied in the Air Jordan 5 Retro and Air Jordan 1 Retro High OG. Make sure to get your own pair now while supplies last!